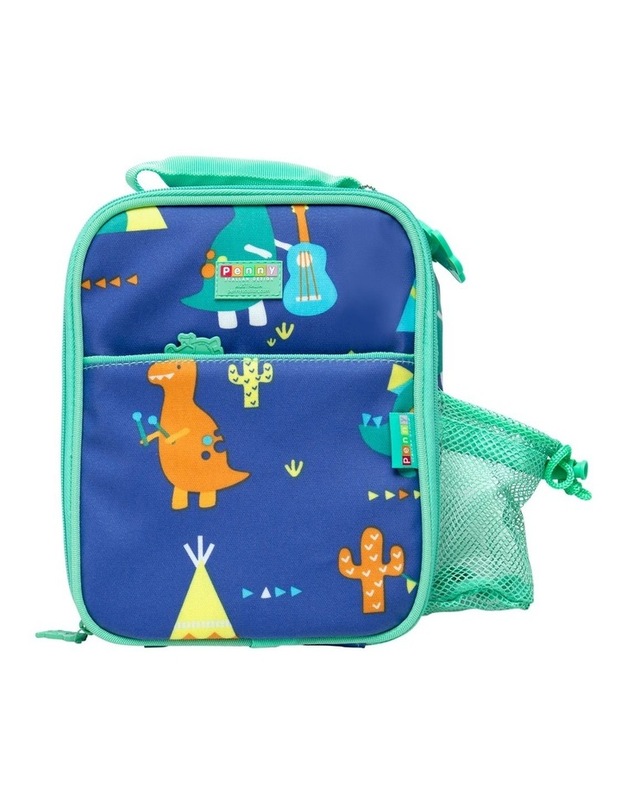 Insulated and thermal-lined Bento Cooler Bag to keep school lunches cool. 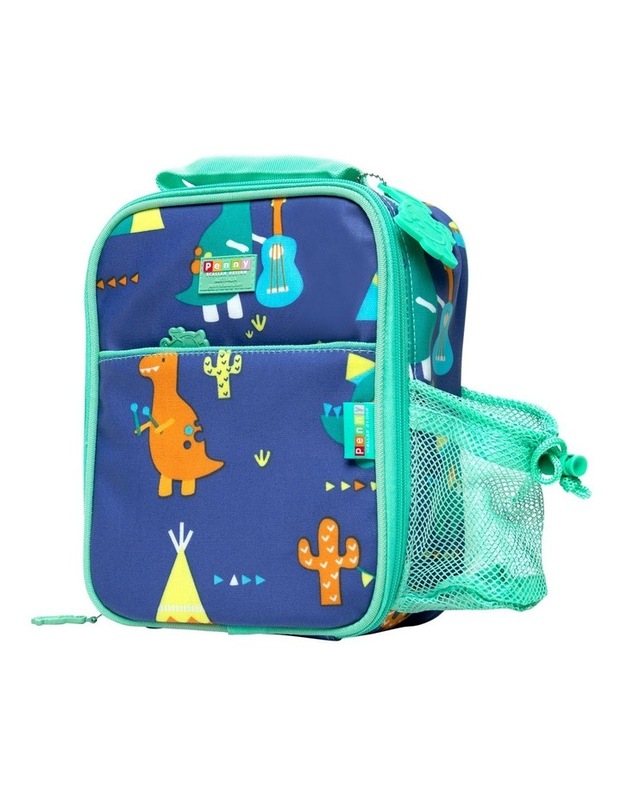 The soft yet durable bag comes with a zip pocket suitable for a slim ice pack, a handy carry handle, and drink bottle holder, plus easy zip openings for little fingers. 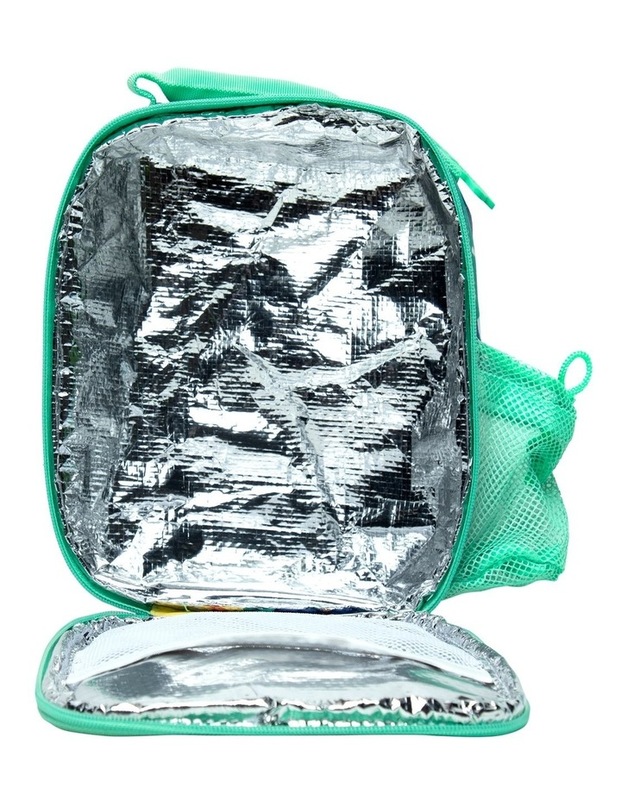 Perfect size to fit the Penny Scallan Bento Box.